Known for its many field uses the world over, whether you call it Duct tape, Jungle Tape, Gun tape or 100 mile an hour tape. This is essential kit to maintain your gear, fix your rucksack, truck or any one of a thousand uses. Our tape is made in the United States by Government contractors and is available in Sand or Black to suit your environment. 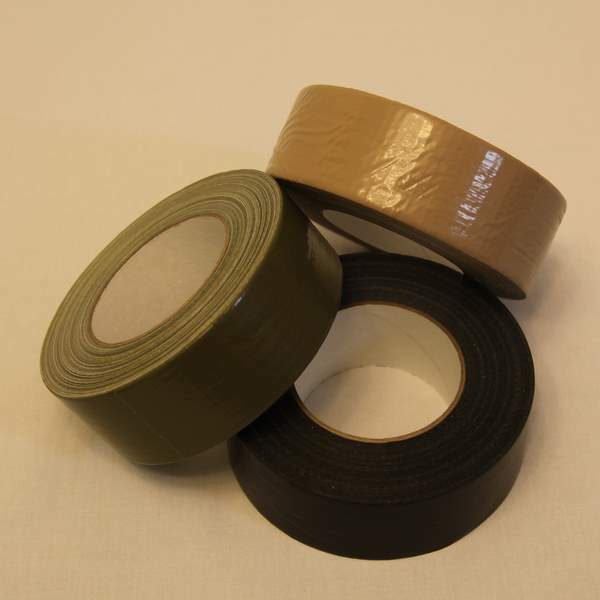 50 mm width (2") by 50 meters (60 yards) this tape is Polyethylene coated and uses rubber adhesive for maximum strength. Keep a roll in your pack, foot locker or tool box for emergency repairs as well as many routine uses.